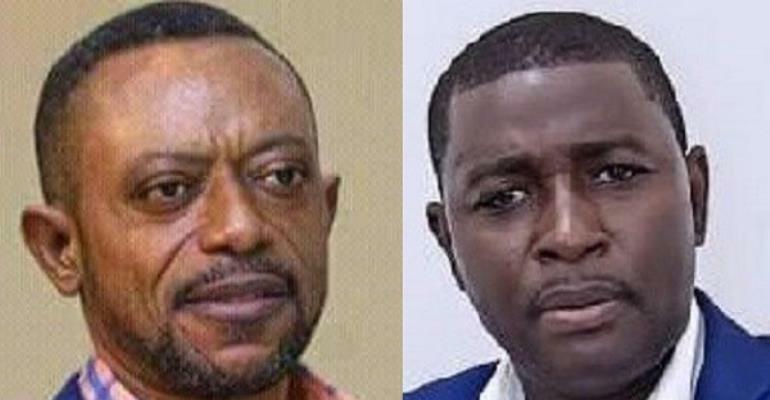 The Founder and Leader of the Glorious Word Power Ministry International, Prophet Isaac Owusu Bempah, has revealed that he stormed the premises of the Accra-based Radio XYZ to demand answers from Salifu Maaase as to why he insulted him and President Akufo-Addo. It has been reported that on Friday morning, March 15, 2019 Rev. Owusu Bempah stormed the radio station with some thugs to attack Mugabe Maase. It would be recalled that on last week Friday, Mugabe Maaase descended heavily on the NPP on his afternoon show “Inside Politics” for planning to kill Manasseh Azure within eleven months time. He alleged the NPP will kill Manasseh Azure for exposing them within eleven months if the security agencies do not protect him. “If the security agencies do not protect him they will finish him, they will get rid of him, I speak without fear or favour, this is a gift God has given to me”. He added, “The fake ones (Prophets) can come out and say whatever they like but I’m speaking in the spiritual realm. Manasseh Awuni, I am speaking to your parents and I’m not speaking as Mugabe but the Holy Spirit is using me”. “I’m repeating, if the security agencies do not protect him, the NPP will kill him as they did it to Ahmed Hussein Suale. The truth is one and as for me they can’t touch me and if you try me you will die first”, he said confidently. In an exclusive interview with this reporter, Pastor Owusu Bempah said he went to the station to look for Mugabe Maaase to explain to him why he called him a fake pastor and an idiot. “Mugabe Maaase has been using the radio station to insult me and President Akufo-Addo, he called me a pig, fake pastor, and idiot and also called President Akufo-Addo a very wicked president”, he explained. He, therefore, debunked a report going around that he stormed the station with National Security Operatives to assault Mugabe Maaase. He denied “It is not true that I (Owusu Bempah) went to the station with National Security Personnel to assault him, let me put on record that I went there with my brothers and I also stay behind the building of Radio XYZ so this morning we went there to see Mugabe Maase”. On the same program, Mugabe Maaase did not spare the controversial pastor, Owusu Bempah and President Akufo-Addo. Mugabe Maaase called the Founder of Glorious Word Power Power Ministry International a bleached pastor who looks like a pig. He revealed that Owusu Bempah prophesied someone will die at peace FM and as a result, the management of the said station stopped inviting the man of God on their programs. Mugabe went on to accuse the man of God as an unfaithful man who cannot stay with one woman — therefore — doesn’t have any moral right to criticize the former President of Ghana John Dramani Mahama. “Owusu Bempah has married four women and divorced them. He is a magician and I dare him to come out because he stays at the back of Radio XYZ building”, he alleged. In his ranting, he said he is physically and spiritually fortified and dared anyone to try and see if he will be an easy nut to crack. ‘As for me physically you can’t stand me and spiritually you can’t stand me. Yesterday Owusu Bempah said former President John will kill President Akufo-Addo, Bawumia, very idiot person”, he said. He attacked “Owusu Bempah is an idiot bleached like a pig and If you are man dare and try me. Owusu Bempah will run away with his sandals from this country. Owusu Bempah is a Fake prophet. Owusu Bempah if you a man come out”. He added “Owusu Bempah has appeared in my dreams but he couldn’t stand me. If you are a man try me and see what will happen to you”. Mugabe also referred to the president of Ghana as a wicked president who preaches virtue but practices vice. “Nana Addo is a very wicked president, he is saying he wants to build a National Cathedral to worship God but Nana Addo doesn’t portray himself as a God-fearing man, he is very wicked president”, he chided. He further went on to say that the former President of Ghana H.E J.A Kufuor warned Ghanaians but they did not listen to his advice and voted for a man with no integrity. He attacked the CID and the IGP on his show by calling them ‘useless’ for inviting the NDC National Chairman, Ofosu Ampofo on his secret tape. “From the CID to the police service, they are all useless, fake people. CID boss, Tiwa Addo is a useless person”, he chided. He questioned why Owusu Bempah wasn’t invited or interrogated for saying the former president Mahama has planned to eliminate the president of Ghana, his vice, Kennedy Agyapong and himself Owusu Bempah. He, therefore, applauded his colleague journalists Manasseh Azure of multimedia Ghana for doing an incredible job bringing to light hidden works of the ruling new patriotic party.